While many people are aware that thousands of American GIs were based in Northern Ireland during World War 2, not many know that Belgian soldiers were also based there for a time. 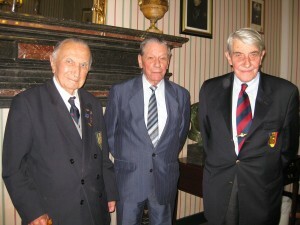 In The Belgian Connection three veterans recall their time in Northern Ireland. This half hour programme was made with the support of the Broadcasting Authority of Ireland. First broadcast on Dublin City FM on 19 December 2012. The programme was nominated for the Celtic Media Festival Awards 2014.